Looking for a life-changing summer position that will help set you up for success post-college AND make a difference in the lives of hundreds of children with serious illnesses? Consider applying for one of our paid positions as a Seasonal Activity Specialist (SAS). Not able to commit to the whole summer, but still want to make a difference? Consider applying to be a program volunteer or medical volunteer this summer for one of our six sessions, listed below. What are we looking for in a Program Volunteer? 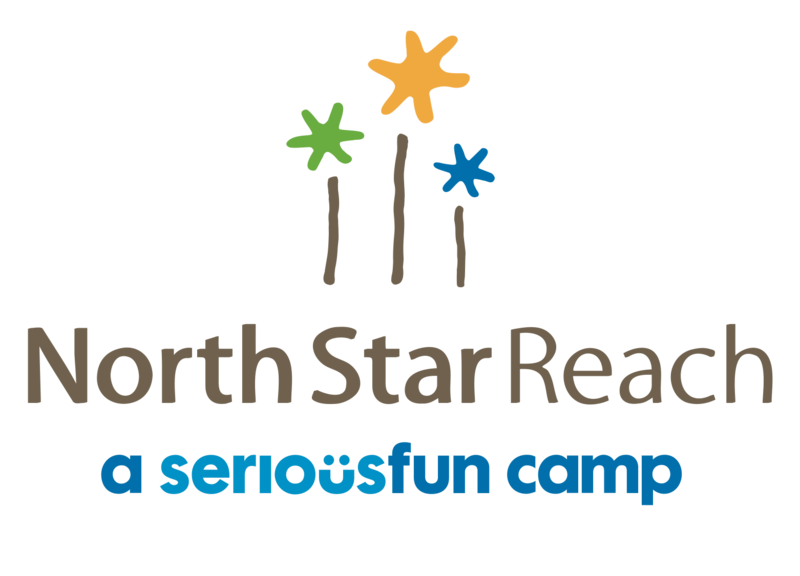 Our program team is looking for enthusiastic individuals who can live in and appreciate a rustic (OK, let’s be honest here, it’s semi-rustic: our camp is brand new), outdoor environment and be a positive adult role model for our campers and families. Learn more and apply today! What are we looking for in a Medical Volunteer? Each camp session is staffed with a team of compassionate volunteer medical staff with experience caring for the camper conditions and families we serve. Camp docs and nurses provide medical support and supervision as well as Band-Aids and bug spray when needed. Volunteering to do your day or night job has never been this much fun! Learn more and apply today! What are we looking for in our SAS team members? Looking for a paid summer experience that is more than just a job? Then consider joining our program team as a Seasonal Activity Specialist (SAS)! The role of SAS is to lead and support engaging, fun activities (archery, swimming, nature…just to name a few!) with campers and staff. This is a three-month paid position. Lodging and meals provided while camp is in session. You will enjoy the “moose” wonderful summer ever! Learn more and apply today! 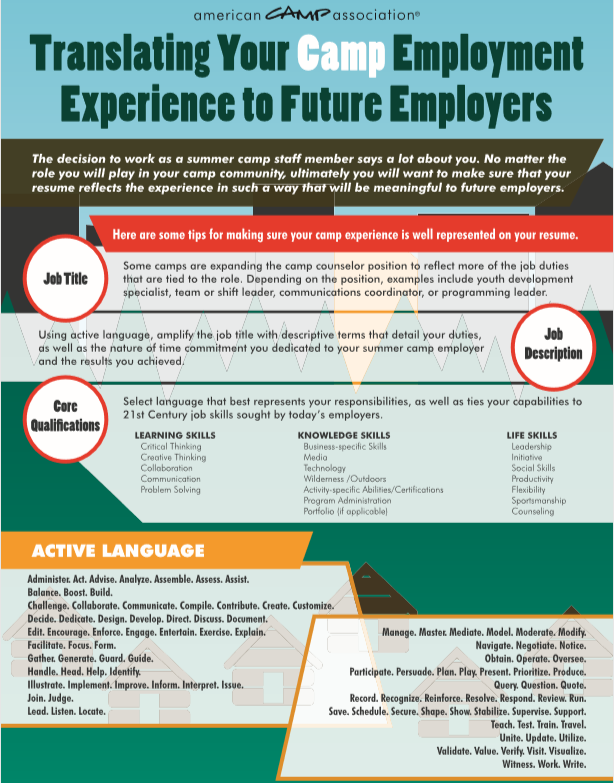 Thanks to our friends at the American Camp Association, we’ll be highlighting some of the “real job” skills college students (and recent grads) can gain from a summer of serious fun. Looking to gain some skills, while making a difference? 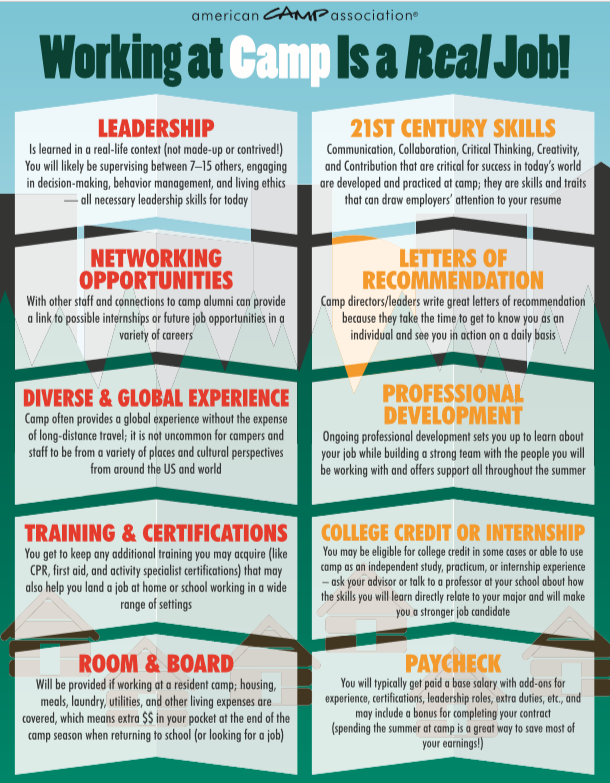 Camp equips volunteers with valuable skills they can put on their resume! Read below to find out more. Trying to convince your relatives (or yourself!) that camp really can be a real summer job? 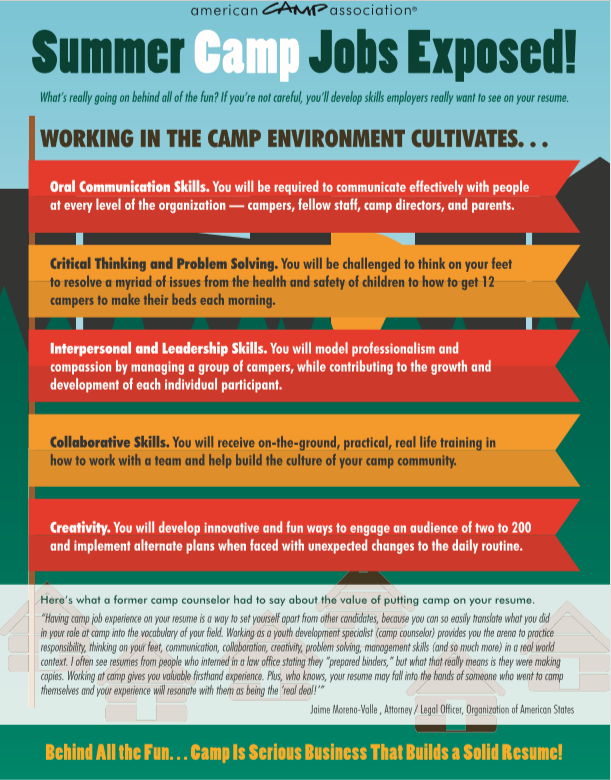 Read below to find out about the endless possibilities working at camp provides. Looking to add a few “buzz words” to your resume to make it stand out? A summer at camp can help you cultivate those! Read below to find out more.